Preparation of the TASIM working plan for 2018 has been delayed, a source familliar with the project told Trend. The source said that it is not yet possible to determine the date for the launch of work in this direction. 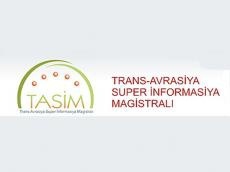 As it was previously reported, the reason for that is the structural changes in the subdivision of the Ministry of Transport, Communications and High Technologies of Azerbaijan – Azintelecom LLC – presented in the TASIM project. “There have been no changes so far, so the work is delayed,” the source said. Details on the items of the TASIM work plan will be announced later. One of the important events planned for 2018, as was previously reported, is bilateral negotiations between Azerbaijan and Kazakhstan on the construction of the Caspian segment of the cable main. The TASIM construction project envisages the creation of a major transit link from Frankfurt to Hong Kong. Russia (Rostelecom), Kazakhstan (KazTransCom), Turkey (TurkTelecom) and China (China Telecom) are also involved in TASIM project. Azerbaijan is represented in the project by AzInTelecom LLC.